Push Pins. 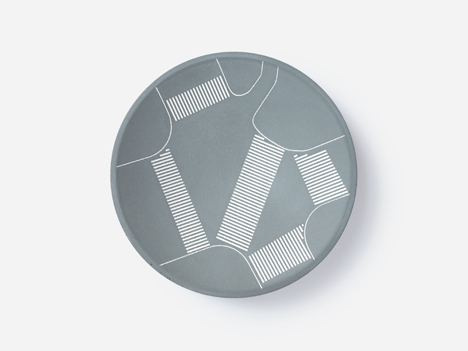 Hand-painted solar system stationery & hand cast concrete moons. ↓ Scroll down to see the production process film's. 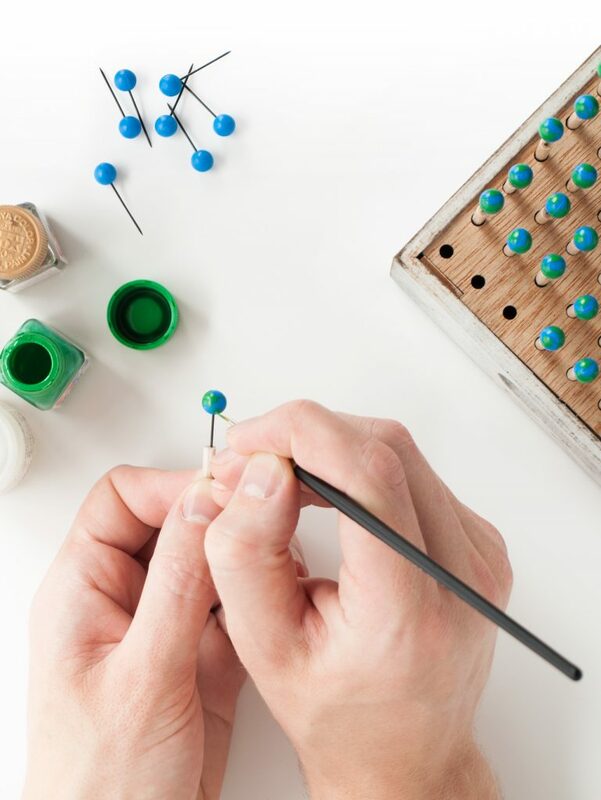 Hold a tiny piece of the universe in the palm of your hand with this unique set of planet push pins. 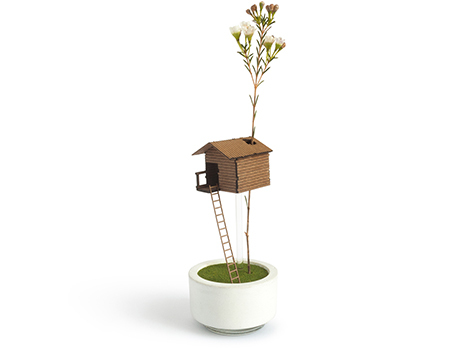 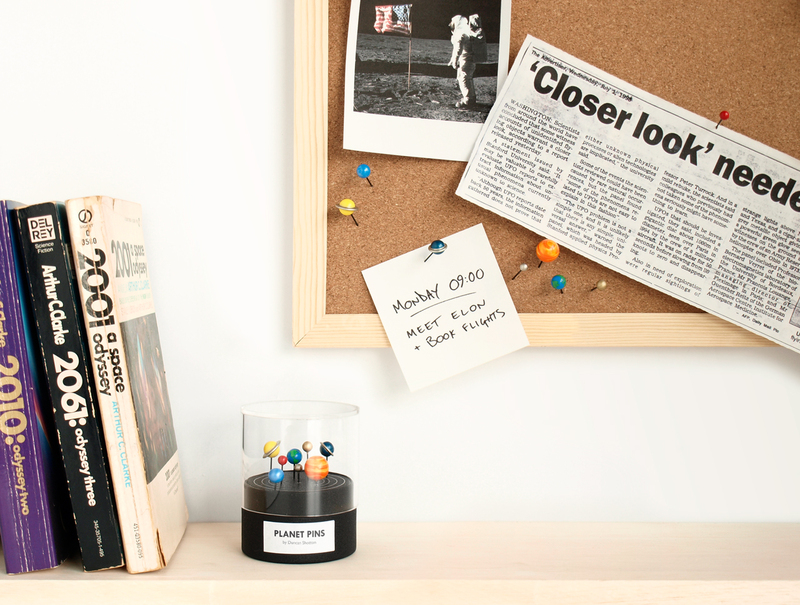 Add a bit of outer-space to your home & office space! 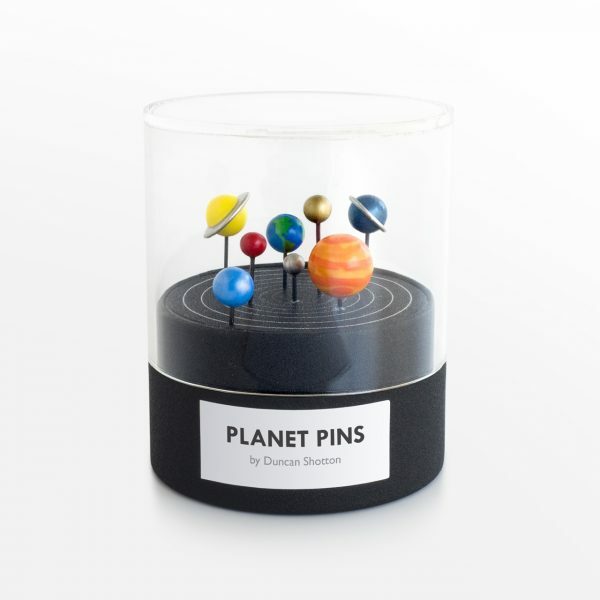 The 8 planet shapes are moulded in the UK over german-made, black steel pins, they’re then painstakingly brush painted by hand (by us!) 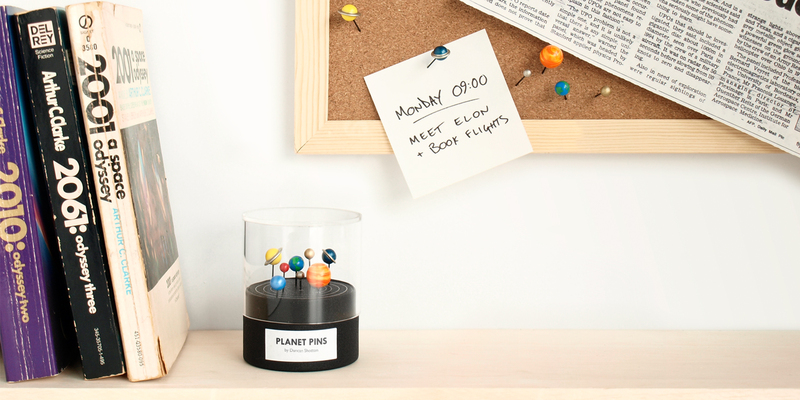 and assembled into their serial-numbered, polished-acrylic display cases. 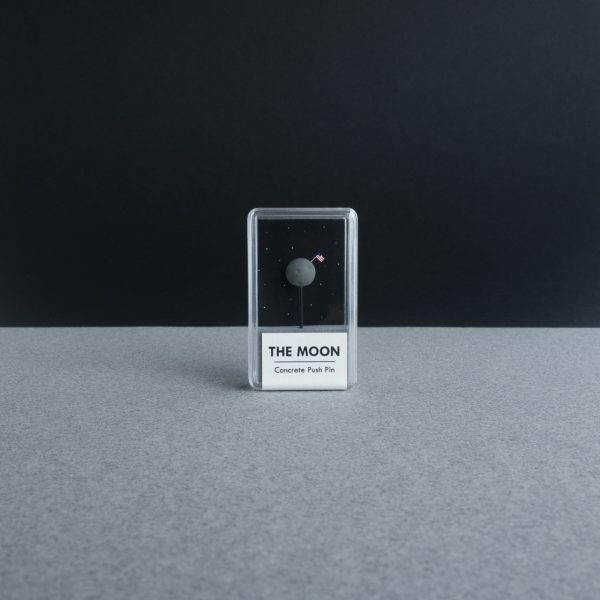 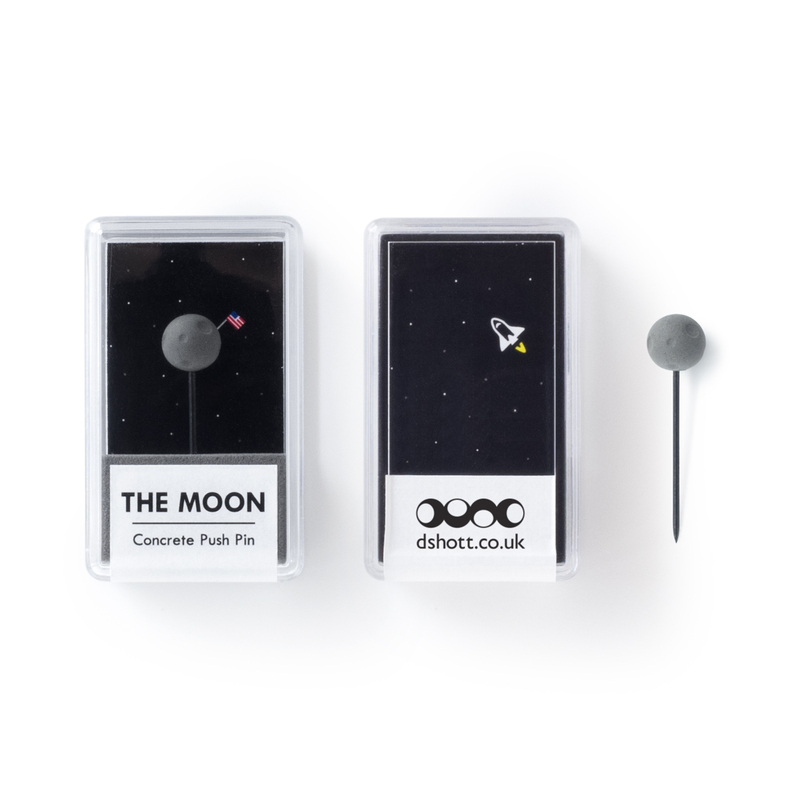 Also available are single Moon pins, lightly “cratered” and cast by hand in concrete by our friends in Taiwan> They are then assembled by us into their display-cases which feature a tiny and super cute flag of the USA, as if pierced into the moons surface in it’s iconic position. 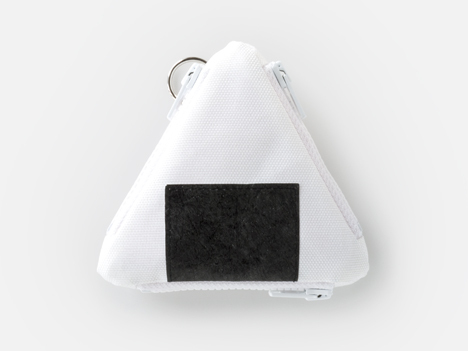 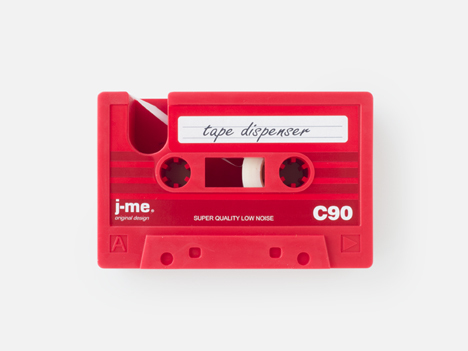 We will be forever grateful to the 808 backers that helped make this project a reality. 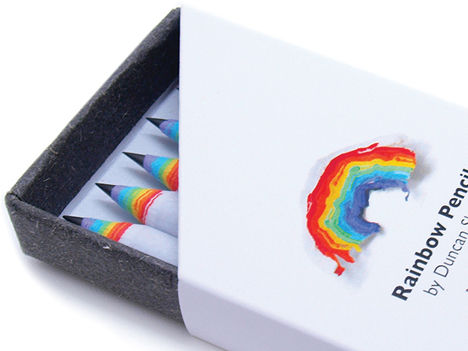 You can now pre-order directly from this website for delivery in August. This product contains small, sharp parts. 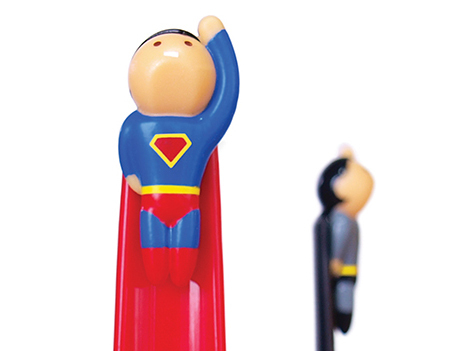 Please use with care and store out of the reach of children. 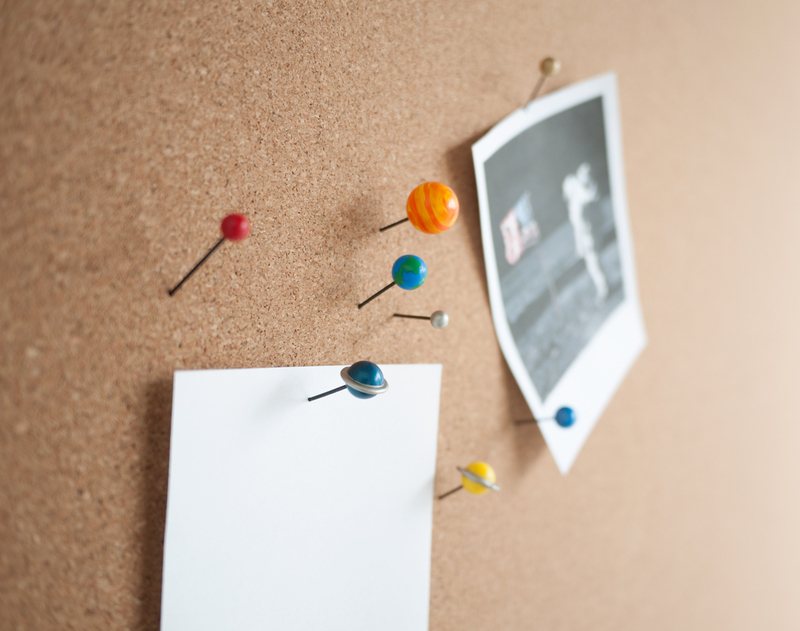 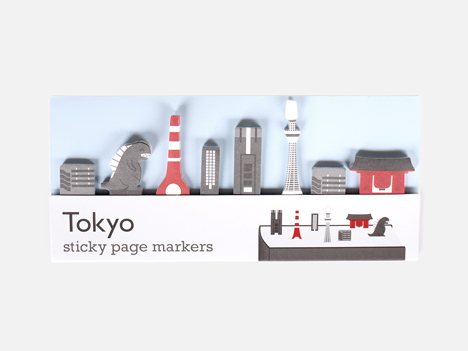 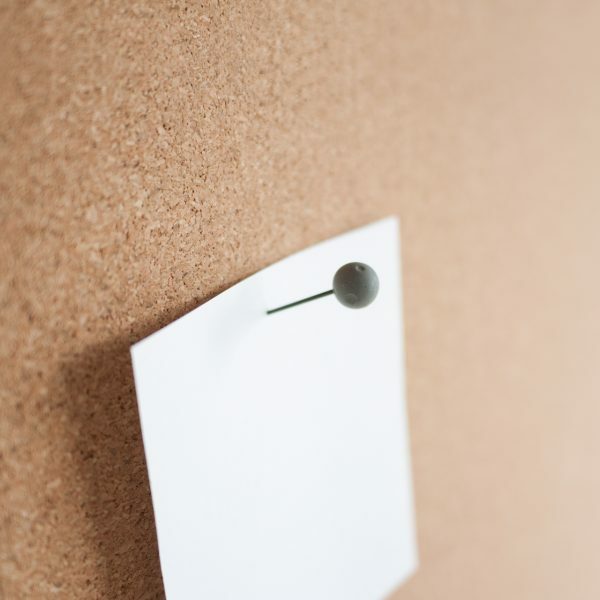 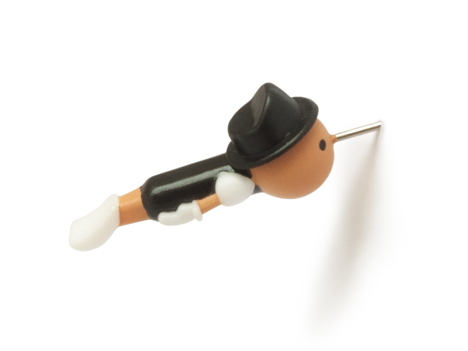 Please use pins for attaching paper materials to corkboard only. 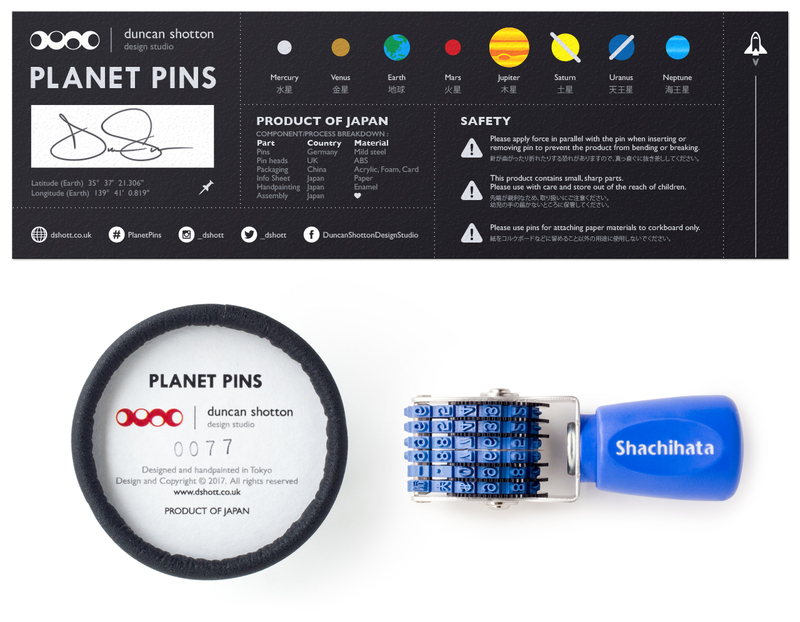 Please apply force in parallel with the pin when inserting or removing pin to prevent the product from bending or breaking.